Inside 80+/- Acres, Nearly All Tillable, Along Hwy 14, Alton Twp., Brookings Co.
120+/- Acres, Nearly All Tillable, 1 Mile South of Hwy 14, Alton Twp., Brookings Co. Inside 80+/- Acres, Nearly All Tillable, Joins City Limits of Elkton, Elkton Twp. Brookings Co.
As we are conducting an exchange, we will offer the following 3 exceptional farms at public auction, located in Brookings County, SD. Directions to each parcel listed below. Auction conducted at Tract 2. Location & Drain Tile. Strong Yields & Cash Rent Potential. Buyers Receive Immediate Possession! 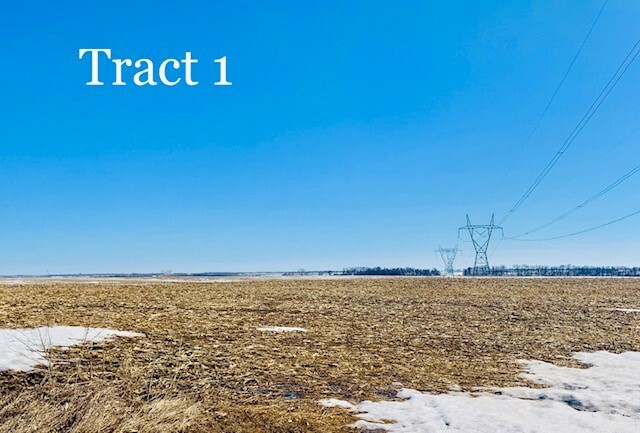 FRIDAY, APRIL 26, 2019 SALE TIME: 10:00 A.M.
Tract 1: Inside 80 +/- acres all tillable w/ approx. 20,000 ft. of installed drain tile w/ 5” & 6” pipe draining into 6&8” outlets. Predominantly Class II soils featuring Barnes Clay Loam and an overall soil rating of 78.7, making this an exceptional corn & soybean farm. Inside farm is all tillable and has a Corn PLC yield of 140, a Soybeans PLC yield of 38 & a Wheat PLC Yield of 43 (included with total property). This farm has excellent access along Hwy 14, and is 10 ½ miles East of Brookings & I29 Exit 138, or from Elkton 5 miles North on Hwy 13 & 2 ½ miles West on Hwy 14. Excellent farm with a great location, close to Aurora Ethanol Plant, surrounding ag communities & grain elevators! Tract 2: 120 +/- acres approx. 1 mile SW of Tract 1. All tillable minus roads & ditches w/ over 31,000 ft of drain tile installed with primarily 5 & 6” pipe with 12” intakes. Predominantly Class I soils featuring Vienna-Brookings Complex & Kranzburg-Brookings Silty Clay Loams, 0-2% slope, and an overall soil rating of 80.2, making this an exceptional corn & soybean farm. According to the FSA Office this farm has XXXX cropland acres with a corn PLC Yield of XXXX and a soybeans PLC yield of XXXX. Only 1 mile off Hwy 14 and close to the Aurora Ethanol Plant, this farm has an excellent location in a strong ag area, close to many surrounding communities, and has good access. From Brookings, SD & I29 Exit 138, 10 miles East & 1 mile South on 483rd Ave. Auction conducted on site at this Tract. Tract 3: Inside 80+/- acres nearly all tillable, joining the city limits of Elkton, SD. This farm is ¼ of a mile off a tar road, Hwy 33 and has excellent eye appeal. The farm is predominantly made of up Class I & II soils featuring Brandt Silty Clay Loam, 0-2% slope, and has an overall soil rating of 79, making this an exceptional corn & soybean farm. There also is a small amount of drain tile installed, along with a Phosphorus Potassium fertilizer application made in Fall, 2018. This inside farm has good access on the South side, and according to the FSA Office has XXXX cropland acres with a corn PLC yield of XXXXX and a soybeans PLC yield of XXXX. 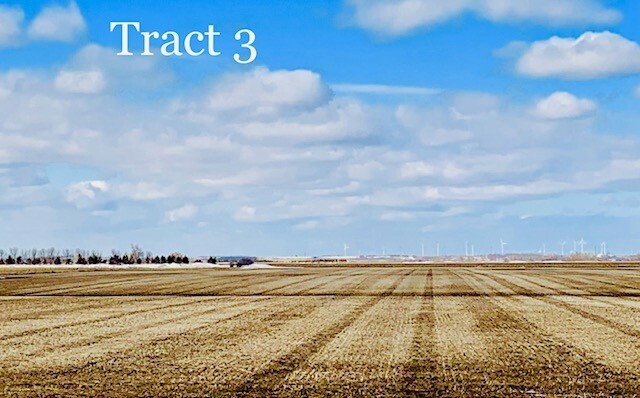 Joining the city limits of Elkton on its North end, this farm is less than ½ mile South of Elkton on Hwy 33 & ¼ mile West on 218th St. With a great location in a strong ag area, this farm is ideal for row crop farmers or investors. For additional information, go to our website www.burlagepeterson.com or contact Auctioneers. MAKE PLANS TO ATTEND THIS AUCTION. BE ON TIME AND COME PREPARED TO BUY!!! TERMS: 10% non-refundable earnest money deposit due day of sale with balance due on or before May 27, 2019. Closing fee and title insurance split 50/50 between buyer and seller. Seller does not warranty or guarantee that existing fences lie on true boundary and new fencing, if any, will be the responsibility of the buyers pursuant to SD statutes. Buyer will receive immediate possession for 2019 crop year and is responsible for the 2019 RE taxes. Any inputs or applications before closing, or improvements made (approved by seller) will be transferred back to seller if transaction is unconsummated. Farm is sold subject to easements and restrictions, if any, reservations and/or hwy. of record, and sold subject to confirmation of owner. Seller to provide survey on Tract 1. Perpetual tile maintenance easements will apply to farms. Information contained and all statements made are believed to be accurate but not guaranteed. Statements made day of the sale take precedence over written materials. Sellers or buyers may elect to do a 1031 Exchange. Auctioneers represent sellers in this transaction.